So I took these countries out of the analysis - in fact, what's shown in the graphic is only those countries with a predominantly Western, Christian culture (i.e. North and South America, Europe, and Australia). 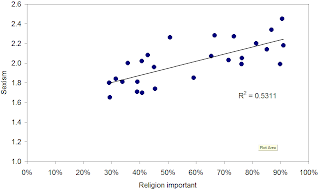 In these Westernised countries there's a strong, linear relationship between religion and sexism. In fact, if you narrow the sample a bit more to look only at European countries the fit is even cleaner (I haven't shown this, but it's a remarkably straight line)." 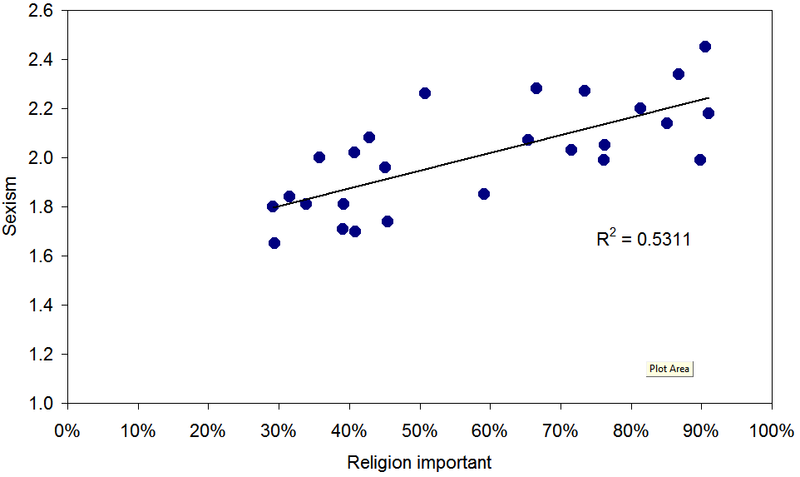 Is religion good for society? See how God's own country compare. 2011 Garrett Fogerlie. Picture Window theme. Powered by Blogger.